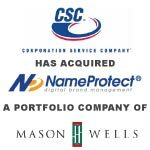 Berkery, Noyes & Co. represents NameProtect in it sale to Corporation Service Company - Berkery, Noyes & Co., LLC. NEW YORK, March 23, 2007 — Berkery, Noyes & Co., LLC, a leading independent investment bank serving the media, information and technology markets, announced that it represented NameProtect, a privately-held leader of digital brand management solutions, in its sale to Corporation Service Company (CSC). Terms of the transaction were not disclosed. “Corporation Service Company is the perfect buyer for NameProtect, allowing the company to continue to grow and expand its market.” said Peter Ognibene, Managing Director, who co-managed the transaction for Berkery, Noyes. “The intense interest in NameProtect reflects the high value created by its management team and the strong demand for its comprehensive suite of trademark clearance and advanced monitoring services,” added Shawn Miele, Managing Director, who co-managed the transaction on behalf of NameProtect. Berkery, Noyes & Co., LLC acted as exclusive financial advisor to NameProtect. 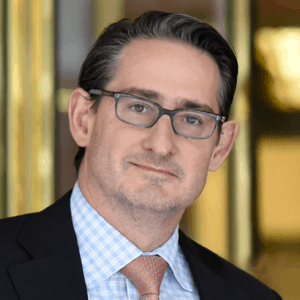 Berkery Noyes has been involved with many of the most notable transactions in the Legal, Technology, and Information sectors, including those involving Thomson West, Wolters Kluwer, Reed Elsevier/LexisNexis, and many others. NameProtect, a digital brand management company provides a comprehensive suite of trademark clearance and advanced monitoring services that support the entire life cycle of a brand in today’s digital economy. NameProtect assists its customers in meeting the evolving challenges of protecting brand assets in today’s global environment. For further information, visit the company website, www.nameprotect.com. Corporation Service Company, a privately-held company headquartered in Wilmington, Delaware, is a leading provider of legal and financial services for many of the world’s largest companies, law firms and financial institutions. CSC offers clients an integrated, comprehensive portfolio of services that includes corporate compliance and governance services, intellectual property management and domain name management services, entity management services, public record document and retrieval services, uniform commercial code and motor vehicle titling services, litigation management and registered agent services. For further information, visit the company website www.incspot.com.